Paddy Power is an Irish betting company founded in Dublin in 1988 after the merger of three Irish bookmakers, Stewart Kenny, John Corcoran and David Power. 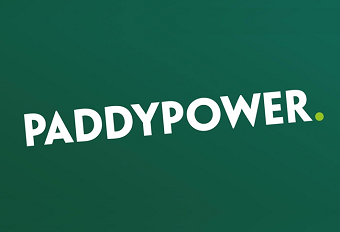 Liking the weight, the name Power gave to the brand, they created Paddy Power to honour their Irish roots and show unity against the competition of British betting shops. Since their trademark green shop fronts began spreading all over the high streets of Ireland, Paddy Power have expanded on their sports betting shops and started providing casino games on their website. They have built a smooth and accessible site which makes it easy to find exactly what you want to access with handy toolbars and drop-down menus. This Paddy Power Casino review will take you through the many games you can play as well as their many promotions and services. Browsing the hundreds of games that Paddy Power Casino has to offer is made simple by providing categories and sub-categories along a toolbar. For example, when you click on Slots, you’ll be provided with options for beginners, different brands and various paylines. There are over 100 Slots and Jackpot games to choose from at Paddy Power Casino, so whether you’re looking for a few spins or a progressive game with a big win, you are sure to find what you want. All your favourites from from TV are here like American Dad, Who Wants to be a Millionaire and Pink Panther. Poker lovers are going to be right at home in the Video Poker section. There is a wide choice of poker games such as Caribbean Stud, Deuces Wild and Jacks or Better. Just like in a real casino, there are many options for card and table games available to play. There are classics such as Blackjack, Roulette and Baccarat and dice games such as Craps and Sic Bo. Roulette, Blackjack, Baccarat and Casino Hold ‘Em are all available to play in the Live Casino where the dealers wear unique golden uniforms. Ever wanted to know what it’s like behind the scenes? Then check out A Day in A Dealer’s Life, a short video in the Live Casino that follows one of their dealers. Many online casinos provide tips and strategy but none like Paddy Power Casino! As well as the usual outline of the rules, there is extensive advice that ensures a player will gamble to the best of their ability. It goes into the minutiae of Slots, Blackjack, Video Poker and Roulette clearly explaining the best approaches and methods to reaching that big win, sometimes using easy-to-read diagrams. For Paddy Power Casino beginners this would be a great place to start. Paddy Power Casino comes fully optimised for desktop, download and mobile and is available as an app on Android and iOS so you can enjoy your gaming on the go. With games provided by industry leaders such as Playtech, IGT and Evolution Gaming, players are guaranteed the best gambling experience whether they are at the desktop, on the sofa or out and about. They can also be assured of a fair game as Paddy Power Casino is eCogra and Technical Systems Testing certified. No casino review is complete without including the generous bonuses, and Paddy Power Casino has a lot to offer! Paddy Power Casino’s Welcome Bonus, exclusive to new players, gives you a 100% bonus up to £500 on your first three deposits. Your first deposit will give you a 100% bonus up to £200, as will your third. Your second deposit carries a 50% bonus up to £100. This can be done over 30 days from your first deposit, which is great for players who don’t want to commit large amounts of cash all at once to benefit from their Welcome Bonus. There are always different promotions to participate in so be sure to keep checking back to the promotions page to see what takes your fancy. Currently there are two cases filled with £50K to be won by triggering the jackpots on the branded live Blackjack and Roulette games. There are also seasonal promotions where you can win a share of some big prizes all year round. Players who prefer to receive ongoing rewards would benefit from the Paddy Power Casino Club and from becoming a VIP. The Casino Club rewards you with points for every £10 bet. You are automatically enrolled into the scheme as soon as you start playing and can start climbing up the ladder all the way to VIP status. Once at level 5, the team will monitor your play to see if you could be considered a high roller and invite you to join the VIP Club. Be sure to read all the terms and conditions before participating in any promotion to get the most from it. Just like any online casino, offers are subject to limitations, exclusions and wagering requirements. Aside from credit and debit cards, there are also a number of e-wallet options to make deposits such as Skrill, NETELLER and Entropay. Some payment methods are excluded from deposit bonuses so be sure to read all terms and conditions before participating in promotions. Using the latest in SSL encryption technology and firewalls, Paddy Power is committed to keeping all personal and banking details safe from third parties and threats. Withdrawing your winnings couldn’t be easier with Cash Card PPlus. It’s free and works like a normal debit or credit card allowing you to access your Paddy Power balance from cash machines and even use it in shops. Should you have any problem using the online casino, Paddy Power provides a user-friendly FAQ section which is divided into categories such as Gaming Queries and Deposits and Withdrawals. Their live chat function, for when you need the customer support team to solve your problem, works in a similar way with queries directed into categories so the right person can start working with you straightaway. Of course, if you feel like your query doesn’t fit the provided contact options, there is also the option to ask them on Twitter on the profile @AskPaddyPower. This is a great place to ask informal, non-urgent questions and you will be able to get a response, not just from Paddy Power, but from all its followers.